The ASEAN-Korea Center and United Nations Institute for Training and Research CIFAL Jeju will jointly organize a workshop for sustainable tourism and natural heritage promotion from Wednesday to Friday at the Jeju International Convention Center. International experts will deliver lectures on developing sustainable tourism programs to industry professionals from both the public and private sectors across the 10 member states of the Association of Southeast Asian Nations. 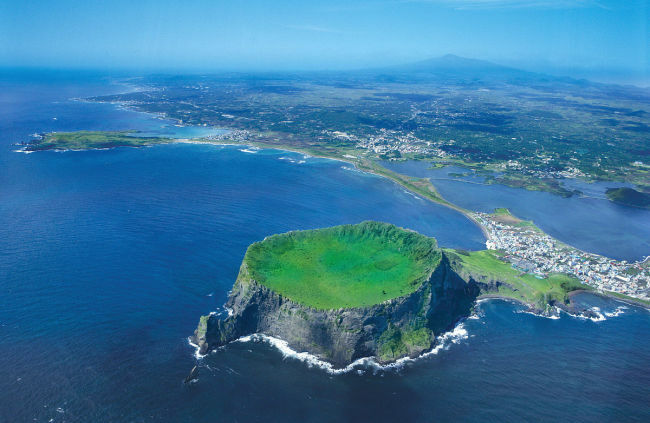 Participants will present the natural heritage development in each country, devise action plans for their heritage development and visit UNESCO natural heritage sites on Jeju Island. The ASEAN Declaration on Heritage Parks, he added, currently recognizes 38 heritage parks across its countries, with an aim to boost regional management of those sites with high ecological values. The workshop will offer an opportunity to share knowledge, policy lessons and good practices in managing, conserving and promoting natural and cultural heritage, and feature Korean Environment Minister Kim Eun-kyung, UNITAR CIFAL Director Ma Young-sam and International Union for Conservation of Nature Director General Inger Andersen. On Thursday, ASEAN tourism professionals will visit ecological sites on the island, including Seongsan Ilchulbong, a volcano formed by hydrovolcanic eruptions, and Geomunoreum Lava Tube, a lava tube cave laden with diverse secondary carbonate speleothems.